Home / Ant-Man-and-the-Wasp-2018 / antman / Chris-Hemsworth / Michael-Pena / Movies / Paul-Rudd / Has an Ant-Man Star Leaked There's a Third Movie Coming? Has an Ant-Man Star Leaked There's a Third Movie Coming? An Ant-Man actor has seemingly confirmed a sequel to Ant-Man & The Wasp is coming. Ant-Man (2015) wasn't a huge box office hit. It currently ranks near the bottom of the MCU (Marvel Cinematic Universe) right above The Incredible Hulk (2008). It's kind of the winner of the losers at Marvel Studios. But, considering it stars a C-rated superhero with a traditionally lame superpower, it did pretty well. But the incredible shrinking superhero Scott Lang aka Ant-Man, played by Paul Rudd, was popular enough that Marvel included him in Captain America: Civil War and the upcoming Avengers: Infinity War, and gave him a sequel Ant-Man and the Wasp. Michael Peña, who played the streetwise Luis, recently talked about his role in the sequel and seemingly confirmed that a third Ant-Man film is on the way. Peña is a Hispanic actor who's played in movies like Crash (2004), World Trade Center (2006), Shooter (2007), and Observe and Report (2009). Apparently, he talked about the future of the MCU on the set of 12 Strong which co-stars Chris Hemsworth who plays the superhero, Thor. "We talked about it on the first day," Peña said, "It's a whole different kind of club to be in, the Marvel Universe. I don’t know if they'll use me for the third movie, I still really don't know. It's cool to make a little bit of a mark on that Marvel Universe and it's kind of a cool club, they run a really cool studio." 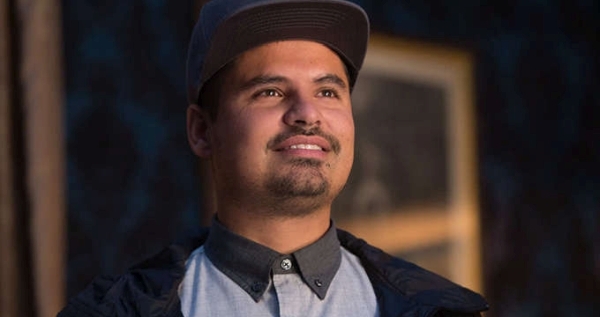 Michael Peña signed a three-picture contract with Marvel Studios so he can assume he's going to return to the MCU in some form. It might be wishful thinking that there's an Ant-Man 3 or Marvel Studios may have told him there's a third one. Who knows? Either way, if Ant-Man & The Wasp does well the third movie is almost guaranteed. Official Synopsis: From the Marvel Cinematic Universe comes a new chapter featuring heroes with the astonishing ability to shrink: “Ant-Man and The Wasp.” In the aftermath of “Captain America: Civil War,” Scott Lang (Paul Rudd) grapples with the consequences of his choices as both a Super Hero and a father. As he struggles to rebalance his home life with his responsibilities as Ant-Man, he’s confronted by Hope van Dyne (Evangeline Lilly) and Dr. Hank Pym (Michael Douglas) with an urgent new mission. Scott must once again put on the suit and learn to fight alongside The Wasp as the team works together to uncover secrets from their past. The Ant-Man and The Wasp (2018) cast includes Scott Lang (Paul Rudd), Hope van Dyne (Evangeline Lilly), and Hank Pym (Michael Douglas) along with Michelle Pfeiffer as Janet van Dyne, Laurence Fishburne as Doctor Bill Foster, Hannah John-Kamen as Ghost, Randall Park as Agent Jimmy Woo, and Walton Goggins as Sonny Burch. The Ant-Man and the Wasp movie release date is July 6, 2018. Are you looking forward to Ant-Man & the Wasp (2018)? Are you looking forward to a third Ant-Man? What do you think of Luis?